I follow a lot of planning and craft groups on Facebook. They are full of inspiration and ideas. So many of them having a huge American contingent and sometimes it can be a little disheartening to see all the wonderful supplies and events that are available over there. Luckily I did see a post about Amy Tangerine, appearing at Spotlight as part of a national tour. 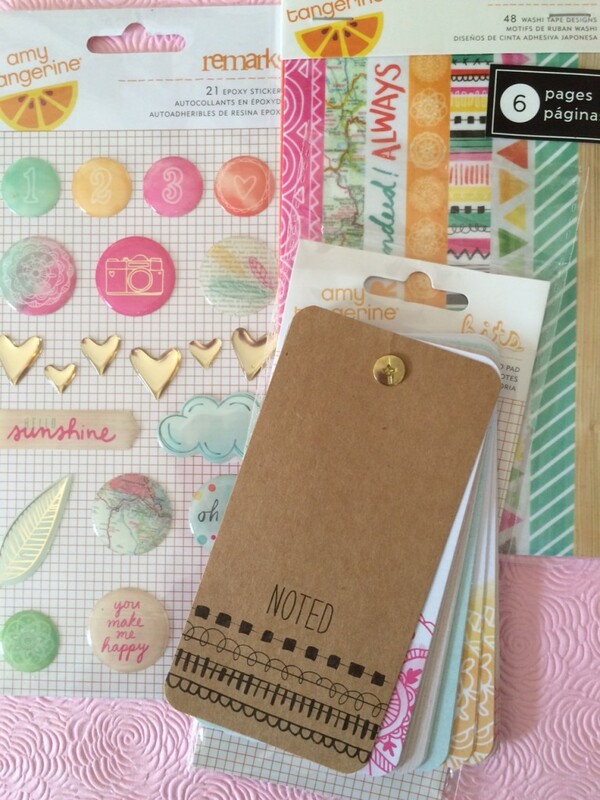 In the scrapbooking world, Amy is big news. She regularly releases a gorgeous selection of paper craft products specifically for scrap bookers. 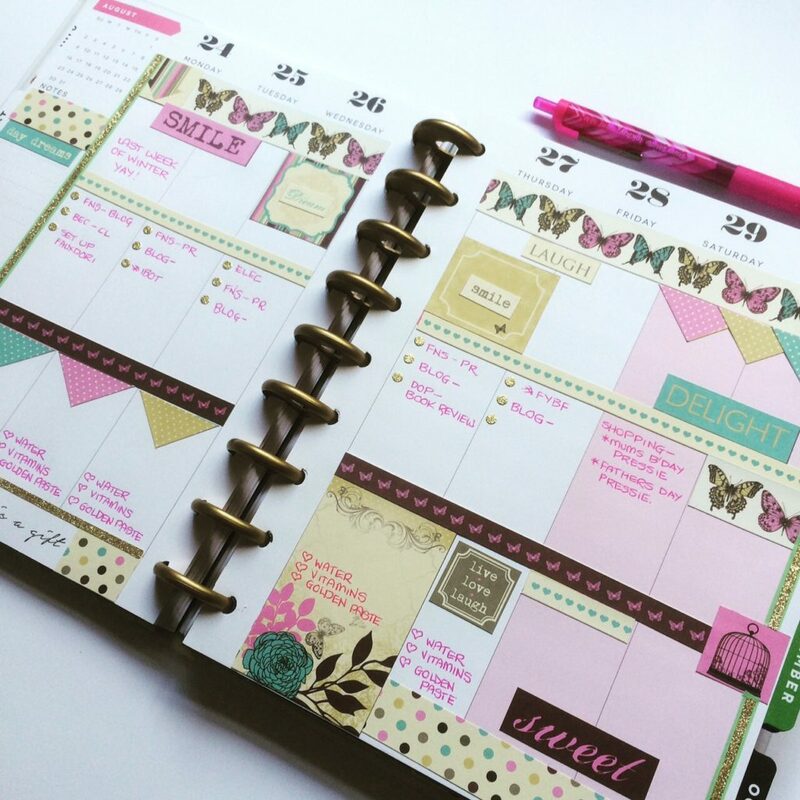 Now I don’t scrapbook, but I love decorative planning, and many products designed for scrapbooking also make perfect additions for my planner. Give me some stickers and washi tape and I am good to go! Amy’s last stop on this tour was Spotlight at Everton Park, conveniently just 10 minutes down the road. Amy is truly delightful and incredibly down to earth. 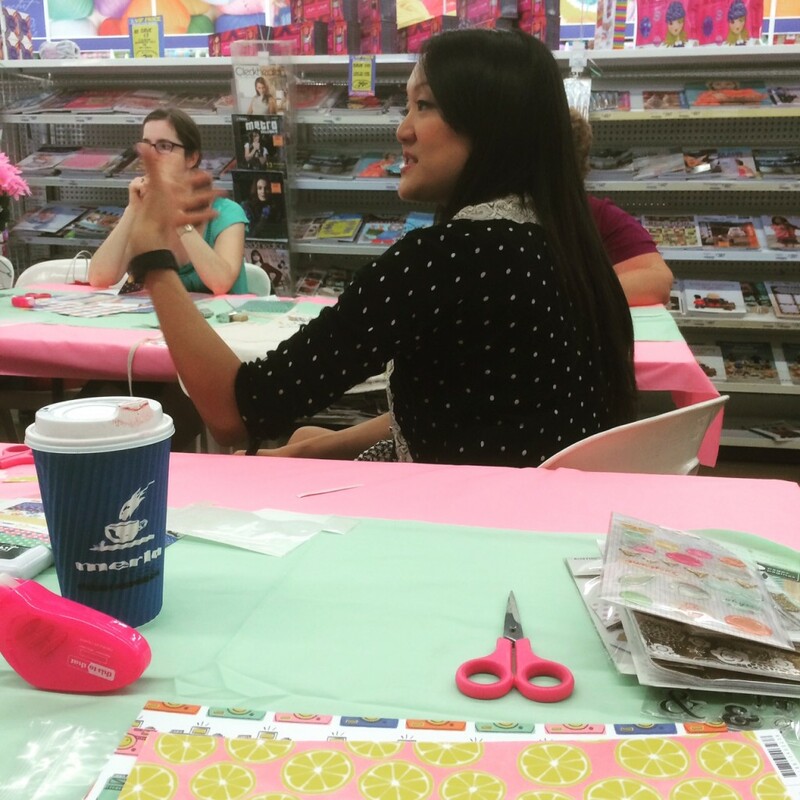 Rather than run a formal class, she chatted about her life, business and answered any questions. We each got given a pack of goodies to play with plus general craft supplies (which we got to take home). A blank notebook was the canvas to decorate in any way you liked. The samples Amy had made, unfortunately got lost on the way to Brisbane, so instead she sat down with us and decorated a notebook with us. I did grab a few things to add to my collection, but there was not a lot of stock on hand in store. Honestly thought Spotlight would have ensured they had a big range for customers to pick from if they go to the trouble to have Amy appear at these events. I had so much fun and met some lovely ladies. It so nice to meet others that love doing what you do. 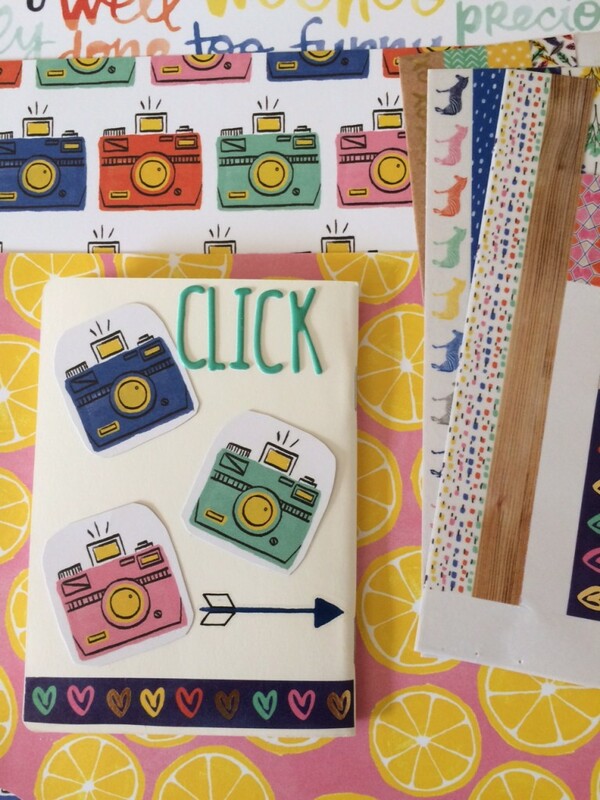 Do you scrapbook or create pretty things?